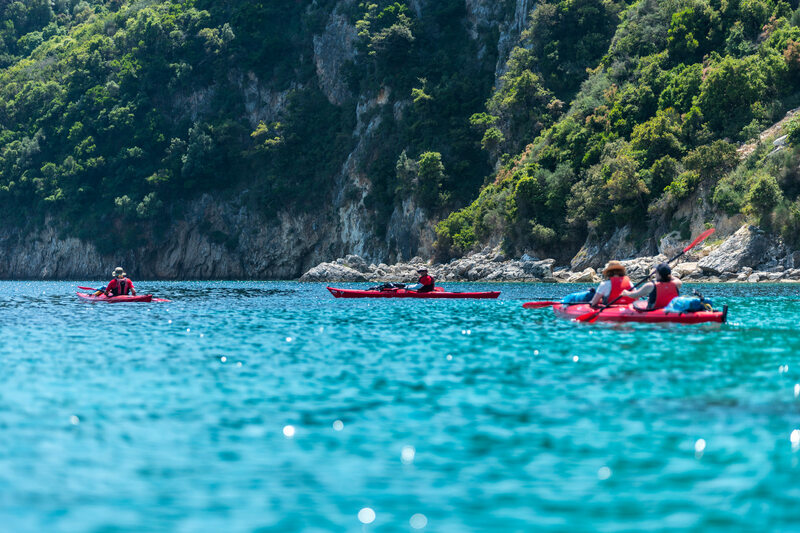 An extraordinary day-trip for those who seek to immerse into the wonders of the Ionian Sea! 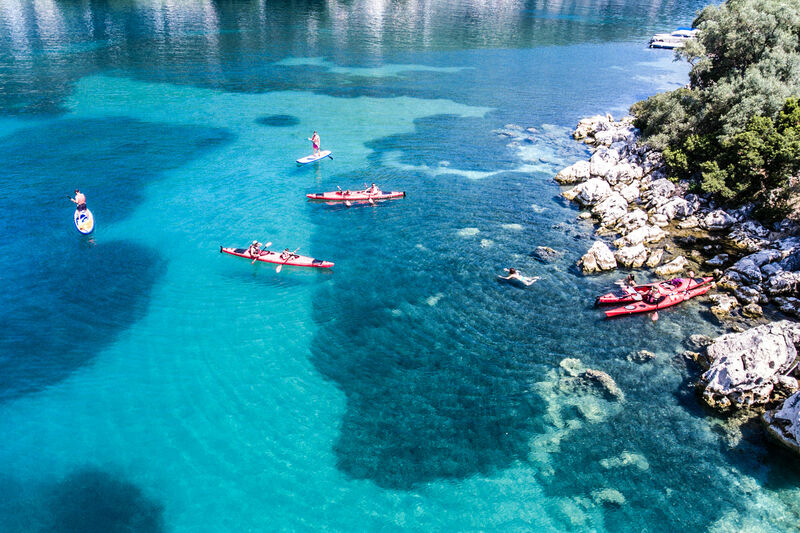 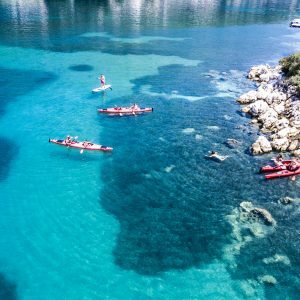 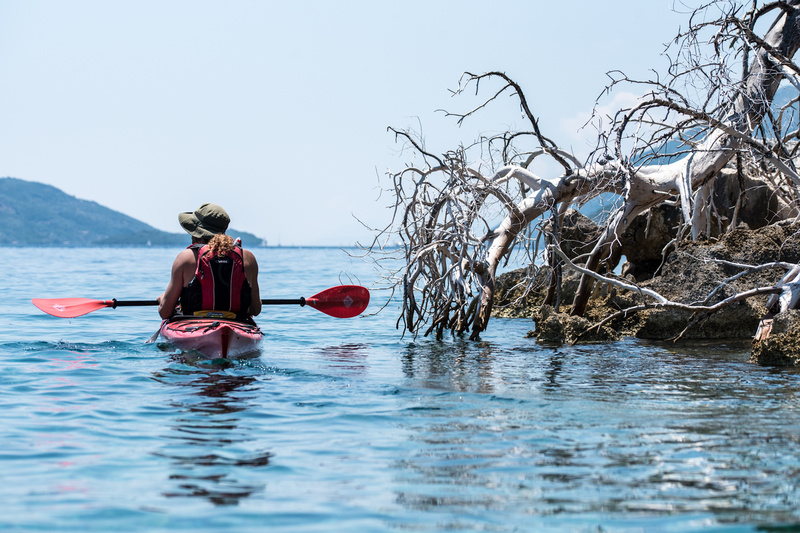 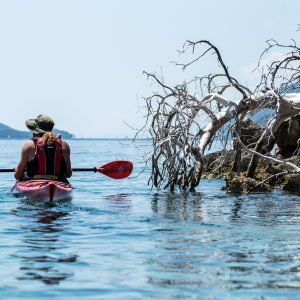 We launch with our double-sea kayaks from Lefkada and make our way to strikingly graphic coves and deserted beaches of the beautiful islets scattered around. 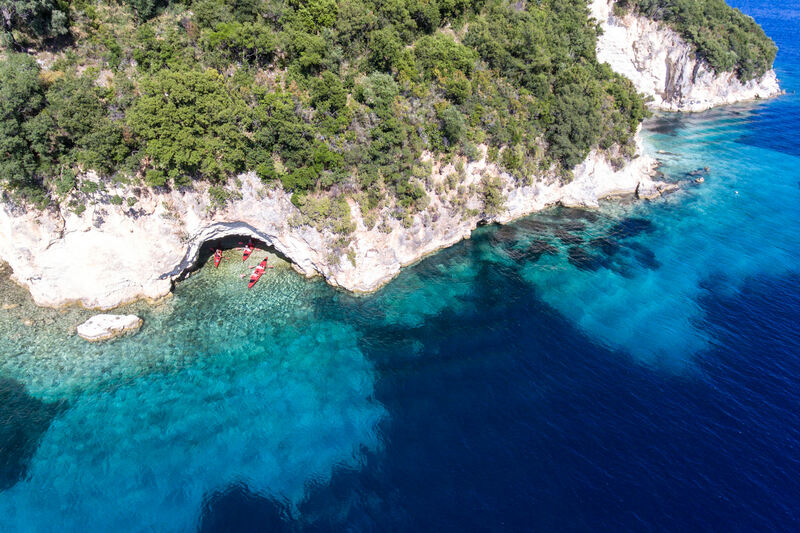 We snorkel around the sea bed of Meganisi and swim in the crystal-blue waters of Skorpios. 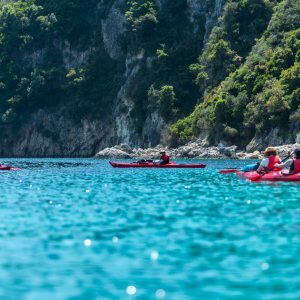 Finally, we discover the beauty of the Ionian sea paddling around Madouri and Thilia islets. 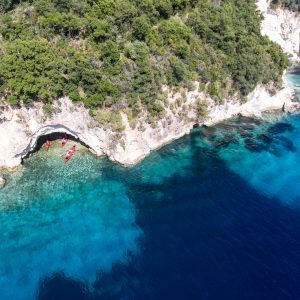 The dazzling inner archipelago of Lefkada island is considered to be one of the safest seas in the world due to the mild weather conditions in the area of the Prince’s islands.